Cameron Diaz made a permanent mark on Tinseltown yesterday, as she took her place on Hollywood’s legendary Walk of Fame. Unveiling her very own star – the 2,386th to join the Boulevard – the gorgeous actress glowed in a Oscar de la Renta Resort ivory embroidered dress, to which she added a waist cinching red belt and patent scarlet courts. And though Ms Diaz was clearly the star of the show, there was no shortage of A-list friends out to support her Hollywood moment. 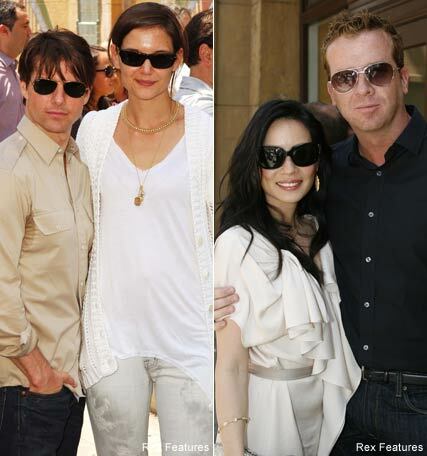 Marking the first time they’ve been spotted together in months, Tom Cruise (Diaz’s Vanilla Sky co-star) and Katie Holmes watched from the sidelines, as did fellow Charlie’s Angel, Lucy Liu.